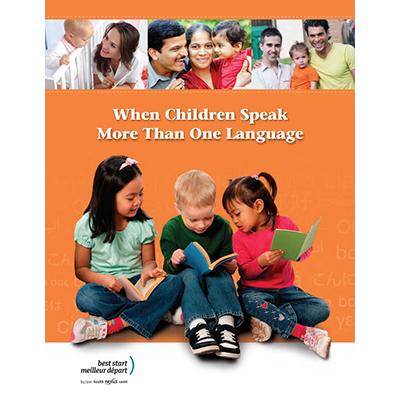 Language is the best tool to help children do well later in school and in life. Many children learn more than one language. Some learn even more than two. Parents of a child who will learn two or more languages may have questions. This guide will give them information based on research to help them. Also available in French, Arabic, Chinese, Cree, Hindi, Ojibway, Punjabi, Spanish, Tagalog, Tamil and Urdu.